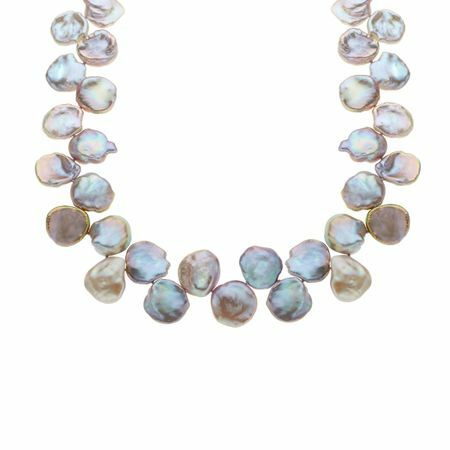 Delicate petals of 15-18mm freshwater baroque pearls in iridescent white adorn this lovely necklace. The alternating petals create an organic 'vine' look that just begs for a little black dress to complement! Comes with a sterling silver clasp.